The Innocence Project serves as host to an especially effective program affiliated with the UM Law school: Innocence Clinic. The mission of our clinical program is to educate students in the practical art of lawyering while providing quality legal representation to our clients. The director, as well as each staff member, is committed to creating a model of exceptional dedication and lawyering for our clients, and then inculcating that ethos in our students. The clinic itself offers students a unique opportunity to serve the public; to explore career possibilities; to gain first-hand insight into the strategic and ethical dimensions of the profession; and to acquire valuable legal skills. We trust that when the students leave our clinic they will have participated in one of the most memorable and rewarding experiences in law school. 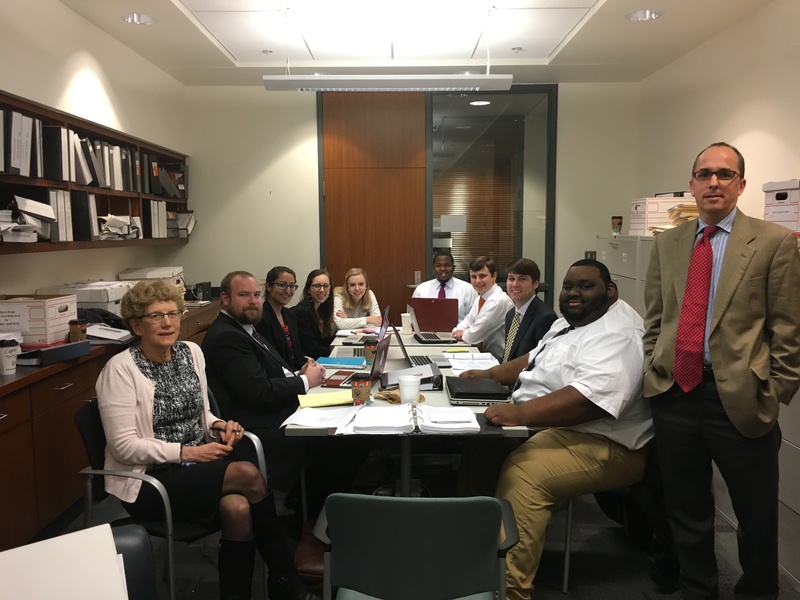 Each semester, 8 second and third-year UM Law students join the staff of the Innocence Project to serve as student attorneys. To apply to the Innocence Clinic, you must fill out a Registration Form through the UM Clinical Programs. Please visit the UM Clinical Programs’ website and look for the Registration Packet at the bottom of the page: http://law.olemiss.edu/academics-programs/clinics/. If you have any questions, please email Carol Mockbee at carol@ms-ip.org.